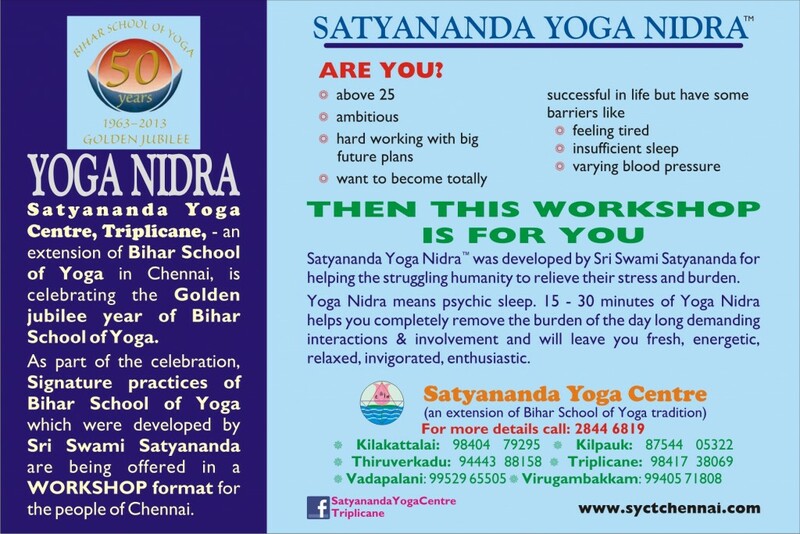 Being a very special contribution from Bihar School of Yoga, you would like to know more about the practice of YOGA NIDRA. Several research studies have been done to understand the efficacy of Yoga Nidra. We can conduct a special workshop in your residence or in your office, your club, association or in any forum. You can contact any of the above mentioned numbers and we will help you to organize a special workshop for your loved ones.